Roger Federer has won the Hopman Cup for a record third time after Switzerland beat Germany in a winner-takes-all point. Federer gave Switzerland a 1-0 lead in the tie with a 6-4 6-2 win over world number four Alexander Zverev. But Germany’s Angelique Kerber levelled the tie with a 6-4 7-6 (8-6) win over Belinda Bencic in the women’s singles rubber. Switzerland then came up trumps 4-0 1-4 4-3 (5-4) in the deciding mixed doubles that came down to the final point. Under the short sets format, the match is decided by a winner-takes-all point if scores are locked at 4-4 in the third-set tiebreak. Germany blew a championship point before it reached that stage, and they again faltered when everything was on the line, with Zverev hitting the ball into the net to spark Switzerland’s celebrations. Federer’s three Hopman Cup titles is more than any other player. The 20-time grand slam champion first won the Hopman Cup in 2001, when he teamed with Martina Hingis to beat the US. The 37-year-old won his second crown alongside Bencic last year, beating Zverev and Kerber. Federer was simply irresistible in his singles match, countering the power of Zverev with classy stroke play and unpredictable deftness. Zverev unleashed a series of powerful serves, some of which exceeded 220 kilometres per hour. But Federer snared the crucial break in the 10th game of the first set, before breaking the young German again early in the second set on the way to the 70-minute win. 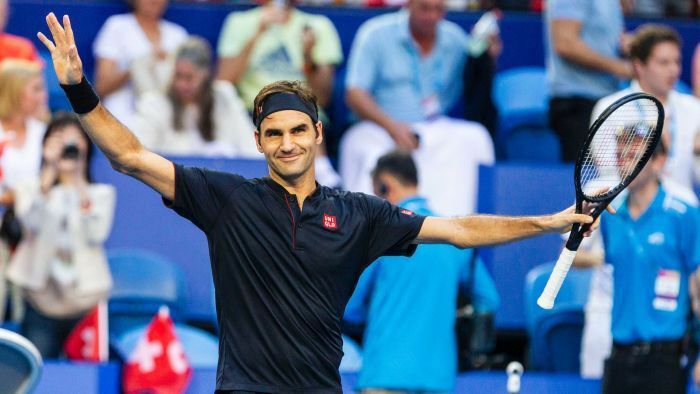 Federer has beaten Frances Tiafoe, Stefanos Tsitsipas, Cameron Norrie, and Zverev in straight sets at the Hopman Cup, giving him an excellent preparation for his Australian Open title defence. Saturday’s final took on extra significance given there was a strong chance it would be the last Hopman Cup. A new ATP World Team Cup tournament is set to be introduced in Australia next year. The Hopman Cup, which was first held 30 years ago, is almost certain to be axed to make way for the incoming 24-team tournament, which is set to be hosted in Sydney, Brisbane, and Perth.